June 1967 saw a war erupt in the Middle East that still has a far-reaching influence on the world we live in today. Since Israel’s founding in 1948 it has been surrounded by a sea of Arab and Muslim hostility. During its relatively short existence the Jewish state has had to fight a number of wars and countless counter-insurgency operations with many of its neighbors in the area and terrorist groups determined to wipe it off the face of the map. The SIX-Day War, sometimes known as the June War, the 1967 Arab-Israeli War or even the Third Arab-Israeli War was fought between June 5 and 10, 1967 by Israel against Egypt, Jordan and Syria. After heightening tensions between primarily Egypt (whose military forces were already mobilizing) in the first half of 1967 and increasing hostility from Syria in particular, the Israelis decided to act. Outnumbered in men, tanks, artillery and aircraft Israel decided to ‘strike first’ and launched a series of early morning raids on Egyptian airfields (their most numerous opponent with the biggest and most modern Arab airforce). On June 5, 1967 almost the entire fleet of Israeli fighter / bomber aircraft flew under the radar towards Egypt’s military airfields and virtually wiped out their entire airforce... on the ground. Simultaneously, Israeli armour poured into the Sinai and sowed death and destruction on the Egyptian Ground Forces there... Destroying hundreds of tanks, capturing thousands of prisoners and driving the whole Egyptian Army back in disarray. After destroying the Egyptian Air Force the Israelis now did the same to the air arms of Syria and Jordan. At the same time elite Israeli paratroopers and tanks fought their way into the divided city of Jerusalem fighting a series of hard-fought battles against Jordanian defenders. Meanwhile other Israeli soldiers and armour were attacking the Syrians on the Golan Heights on the northern Israel / Syrian border. 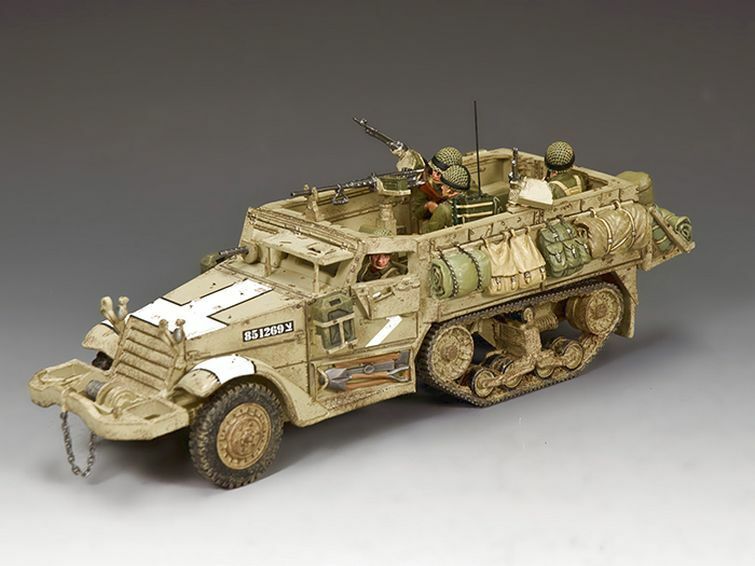 This dramatic new postwar military series of figures and fighting vehicles will tell, in miniature, just why Israel had to do what it did and how with a relatively small regular and part-time army it fought and defeated some of its most numerous, best equipped and belligerent neighbors. Released October 2017! Pre-Order Now!